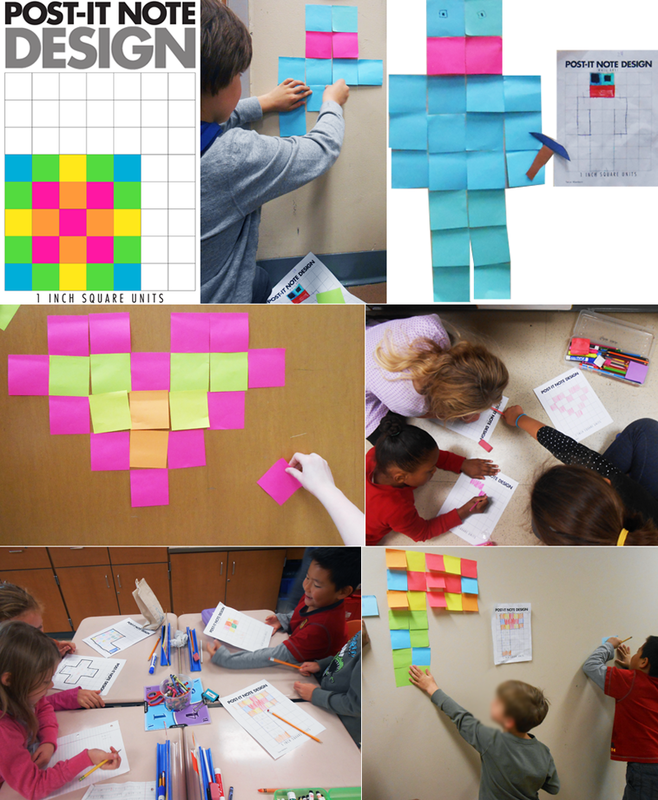 Have you used post-it notes for a creative math lesson yet?! They're a fantastic tool to introduce the concept of area and reinforce perimeter. 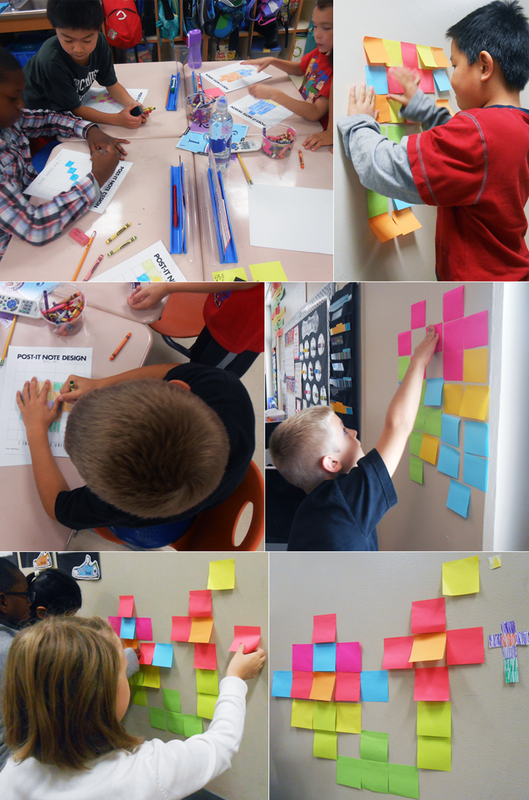 For this lesson, students used 25 or less post-it notes. We made a prediction: Do different shapes that have the same area have the same perimeter? Working in groups of 4, students mapped out their design and figured out the area and perimeter of their shape. Then, they found a blank wall to construct it! Click here for printables on TpT! Featured in The National Counsel of Teachers of Mathematics - thanks to my ECE professor! - if you belong, check out the article here!